This month’s fly is the Pale Evening Dun. It is not known for large hatches like the Hendrickson and March Brown. It occurs during the end of the March Brown season, not large in number, but ever present. Thomas Ames, in his Hatches guide states that it is the first mayfly which the trout prefer to take as dun over emerger. 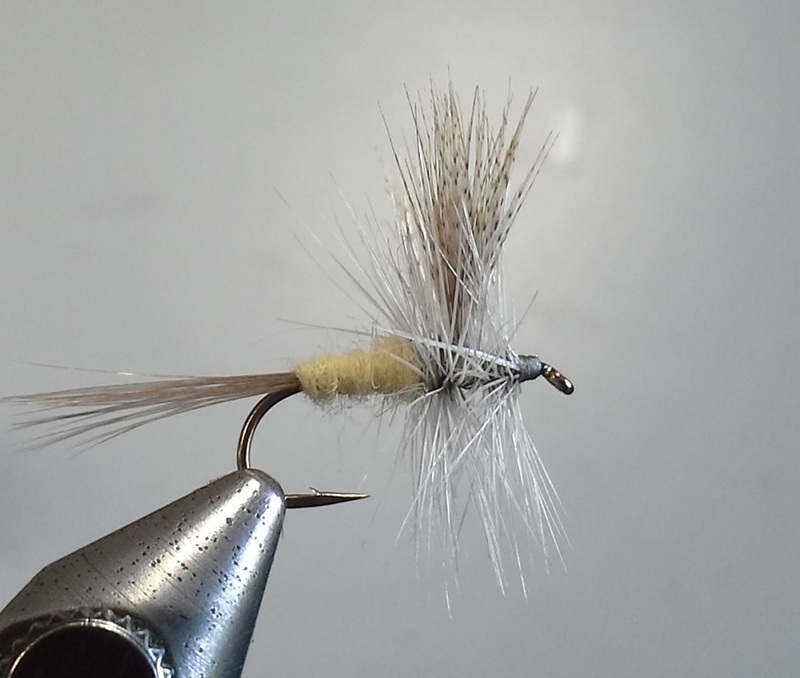 I often fish this yellow mayfly during times when fish are feeding heavily on Hendricksons. The often will pick the P. E. D. over the more common mayfly. Yellow certainly is a desired color to hungry Trout.